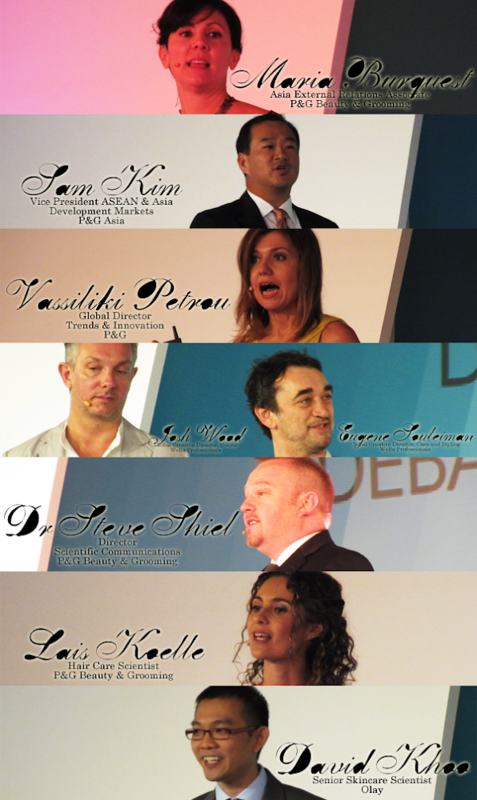 January 17th marked the start of P&G Beauty & Grooming (P&G B&G)'s 3-day symposium, 'The Beauty Debate/ Super Model Me'. 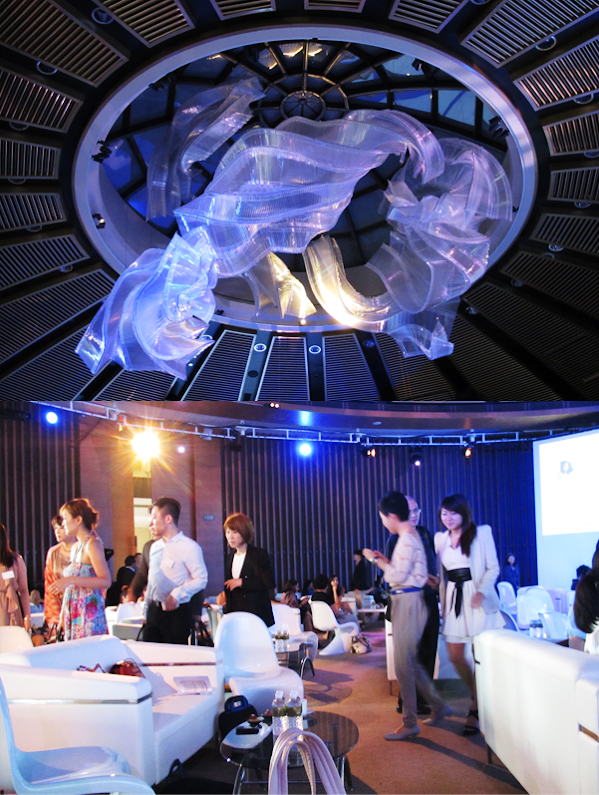 The annual event, established in 2008, is P&G B&G's way of 'bringing together the company's leading scientists and lifestyle trend experts with top minds in the industry to discuss the beauty vision for the future'. 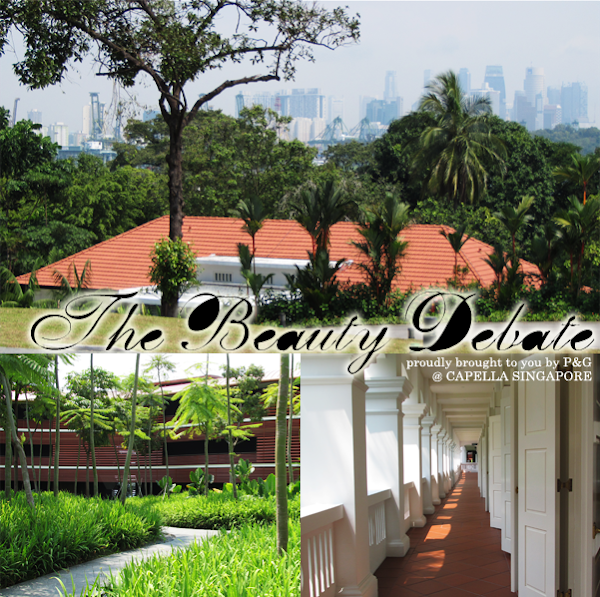 The event has been held in Kerala (India), Bali (Indonesia), Beijing (China) and this year, Singapore had the honor of hosting it at Capella Singapore, Sentosa. Our very-wired country is at the forefront of technological innovations and this expressed the symposium's advanced science clearly and aptly. Just a little about the company... P&G is an American multinational corporation that manufactures a wide range of products. 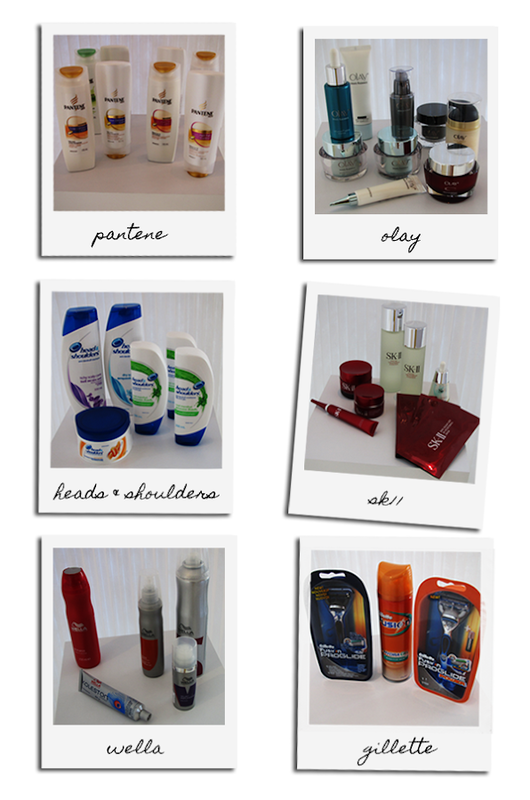 It plays a major role in the beauty world, especially in spearheading scientific research, through P&G B&G. 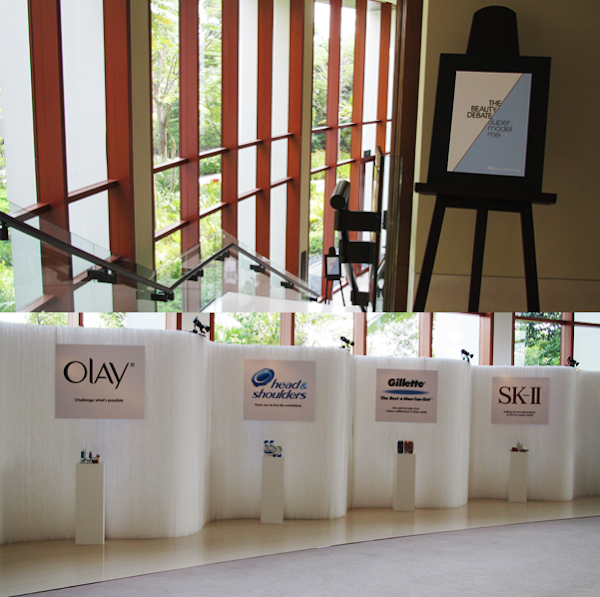 Brands under it include Olay, Heads & Shoulders, Gillette and SK-II. On the first day, we were given the Colour and Fashion Forecast for Spring/ Summer 2012 and a glimpse into the future whereby modelling technologies are used in creating and enhancing beauty products. Ms. Petrou began the event by taking us through the trends for Spring/ Summer 2012. Drawing inspiration from art, design, architecture, fashion and the environment, 4 trends were conceived. They are Visible Aura, Tango, Sand Dunes and Beauty Graffiti. Visible Aura: Air and light drive vitality, symbolically elevating us to holistic well-being. Oneness of body, mind and spirit create the ultimate beautiful glow. Tango: Tango stages an enticing, strong-willed woman with fierce dignity, confidence and attractiveness. Latin culture, a powerful source of inspiration epitomizes this woman. Sand Dunes: Luxury continues to be strong and celebrates the beauty of nature. The line and structure of natural elements inspire new, distinctive forms and styles. Beauty Graffiti: A fun, constructive and career lifestyle led with creativity. 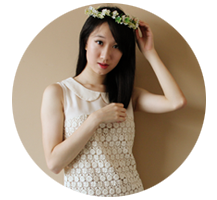 Free-minded and spontaneous, this story revisits D-I-Y and personalization in a modern and arty way. Mr. Wood and Mr. Souleiman then brought us through the trends pertaining to hairstyles. This season, hair is used as an accessory. It is a lot about clean, fresh, romantic and fairy tale-like hair that looks done, yet relaxed and effortless and with a pop of colour. To quote Mr. Wood, 'style is incomplete without colour'. For the Stella McCartney runway, hair was clean and shiny and pulled very tight at the sides. This was contrasted with a feminine chignon at the back. For the DKNY runway, it was about cool and relaxed hair. For makeup, colours like linen, periwinkle, primrose and vanilla are in. There are also a lot of contouring of cheeks and longer lashes at the ends. Last, but not least, Dr. Shiel and Mr. Khoo took us to the tipping point of beauty, which consists of more targeted performance, quicker efficacy, faster and sustainable innovation and a rise in smart diagnostic tools. 'P&G B&G adopts a holistic approach to modelling', from molecular modelling to systems, prototype, optical and finally, behavioural modelling. Molecular modelling is how molecules interact with our receptors. Instead of relying on current ingredients, P&G B&G are now able to create 'designer molecules'. This means that molecules can be designed from scratch to suit our needs Pantene is introducing a designer molecule AM Triquat 76 for medium or thick hair. Systems modelling controls our visual appearance. It affects how others perceive us. For instance, uneven skin tone actually adds 10 years to our age! Olay's White Radiance sees ingredients that tackle pigmentation and other biological pathways, that cause uneven skin tone, at early stages. Prototype modelling is the ability to produce prototypes for more efficient testing or to screen them using computers. This modelling is used in Heads & Shoulders. Optical modelling is the ability to understand the components that control the visual appearance of an object. For instance, how the skin looks depends on how light interacts with it. SKII's Cellumination technology achieves the optimal RGB light so that skin glows from within. Behavioural modelling is the study of understanding of people's interacts with products and appearance. Why do we consider some people pretty? How do cosmetics and hair colours affect how others perceive us? Studies have shown that ladies who wear cosmetics are deemed as more attractive, but less trustworthy and competent (!!! We all know that that is so not true!). The first day ended off with a glimpse into the future where products could be chosen based on our beauty type, for instance blood type, instead of skin type! I know we have got diets that are determined by blood types... But products based on them? Hmm... It will be difficult for our blood types to determine if our skins are oily or not, no? But aye, it's interesting and exciting! Also, we may rely on smart codes to track our beauty products! I certainly see this coming, what with all the phone tracking locators that are popping up like mushrooms from every brand, and I'm looking forward to it! But oh! My poor pockets are going to make some really strong protests... EEPS! Heh.